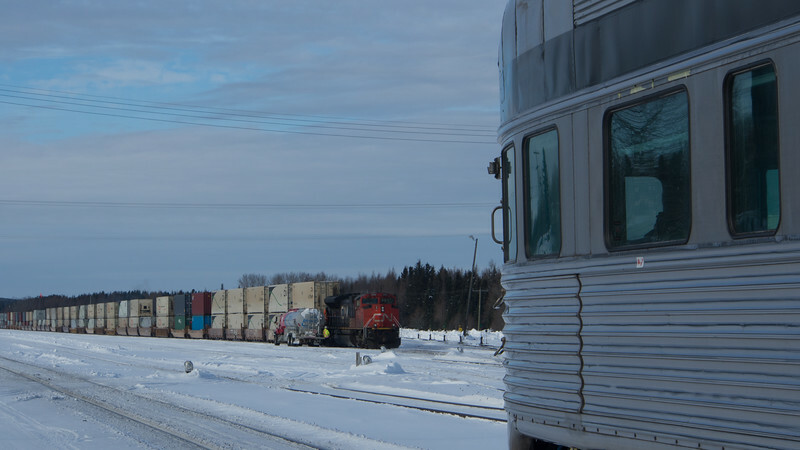 This stack train has paused at the Canadian National division point of Hornepayne, ON for a crew change and servicing. Fueling of the power is done using a tank truck rather than a fixed facility. Undoubtedly there is another Distributed Power unit somewhere back in the train that will also receive attention. In the foreground is the Park dome/observation car bringing up the rear of the eastbound Canadian.